Note: a smaller version of this article has been published in The Mole, the supplement to Education in Chemistry produced by The Royal Society of Chemistry. The bright lights of shop window advertising signs, night clubs or the classic American diner are called neon lights. They consist of thin glass tubes filled with an inert gas (often neon, hence the name). The gas glows when electricity is applied via electrodes at the two ends of the tube. The electricity increases the energy of the electrons in the inert gas atoms. As the atoms constantly move about in the gas (Brownian motion) they often collide allowing them to give up some of this energy by emitting light. The colour of the light depends on the particular inert gas in the tubes. Mixtures of inert gases can create many different colours. Our office and school fluorescent tube lights are similar but the gas also contains traces of other atoms such as mercury so that the tubes produce ultraviolet (UV) instead of visible light. The glass tubes are coated with a fluorescent material which glows in the UV and this is the bright white light you actually see when the light is switched on. In both types of light if the voltage drops, or perhaps they are old and some air has leaked into the tube, the light will be unstable and flicker. This is very annoying if you happen to live opposite a large neon sign 'on the blink'! You can actually buy neon lights deliberately designed to flicker e.g. to simulate candle light. The two electrodes within the glass bulb are a pair of closely spaced metal plates (not quite parallel). The spot where the glow is produced is sensitively dependant on the gap at that point, the size of the glow and probably the temperature and pressure in that region. The result is that the glow randomly moves around between the plates looking rather like a candle flame flickering in a breeze. You can't see this in the photo but I set up a simple experiment to investigate it which you could try in the school / college lab. I placed a solar cell next to the flicker bulb and then darkened the room. The flickering light produced a varying voltage from the cell which I recorded on a computer data logger (see data above). The regular sharp pulses are due to the 240V AC mains turning the light on and off every half cycle but you can also clearly see the intensity of the light received by the solar cell randomly fluctuating over time. The computer also allowed me to analyse the data in 'spectrum view'. 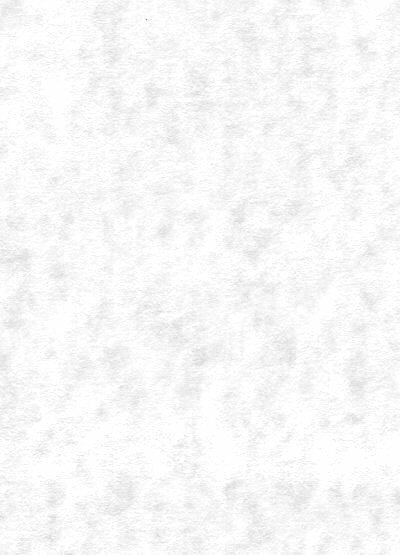 This showed the flicker rate (the way the flashes per second (Hz) vary over time) was fairly random too. To the eye the bulb seems to flicker regularly even though it's random. This is rather like the way a flag flaps in the wind - random motion that looks periodic - a classic chaotic system. Randomness and chaos are at the heart of many transformations and interactions in chemistry. 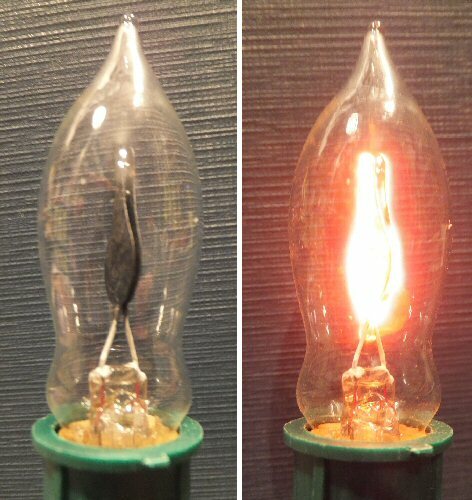 As a reaction progresses their presence usually becomes averaged out and covered up, but in this simple inert gas flicker bulb we get a glimpse of it.